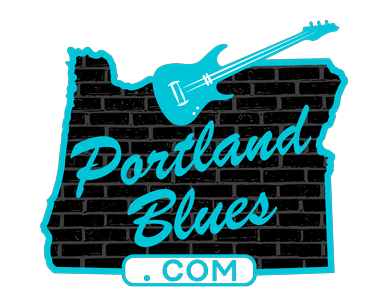 A few years back, the Rae Gordon Band, while seeking a way to raise funds to help it pay for its trip to Memphis representing the Cascade Blues Association at the International Blues Challenge, hit upon the idea of organizing a concert on the Portland Spirit, Portland Blues Cruise. The event was extremely successful, and Rae decided to make it an annual event to help subsequent acts representing the CBA and the region in Memphis at the IBC. 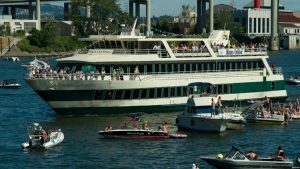 The 2017 version of the Portland Blues Cruise will take to the Willamette on Saturday, October 7 and will feature the 2017 IBC third-place finishers The Rae Gordon Band as headliners along with all three acts representing the Cascade Blues Association in January 2018: Sister Mercy, Julie Amici Duo, and Timothy James & The Portland Blues Revival. Tickets for this year’s event can be found at Brownpapertickets.com for $25.00. Tickets, if still available, can be purchased pre-boarding for $30.00. Boarding starts at 1:30 pm at Tom McCall Waterfront Park at the Salmon Springs fountain off SW Naito Parkway. The cruise will depart at 2:00 pm. Food and beverages are available on board.